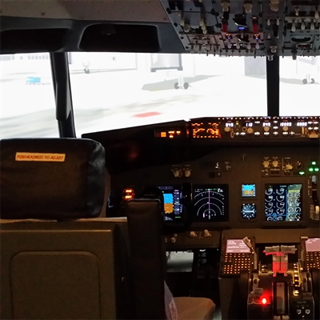 Experience the thrill of piloting a Boeing 737 from take-off to landing in a state-of-the-art Boeing 737 Flight Simulator. 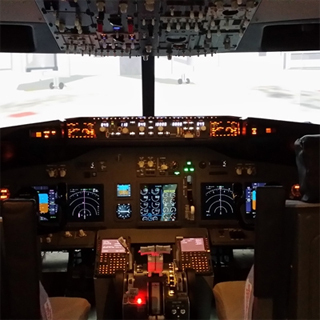 With expert instruction from our qualified pilots, learn the basic flight manoeuvres in a professional flight simulator, used by real trainee pilots to qualify for their commercial licence. Price quoted is for 1 person for a 60 minute simulator session. The National Flight Centre at Weston Airport is Ireland's longest established and largest Flying School. With state-of-the-art facilities, a large fleet of aircraft, and highly experienced flight instructors, NFC is the place to learn to fly! Minimum age is 6 years. Minimum height is 4ft 2inches. This experience is not weather dependent. 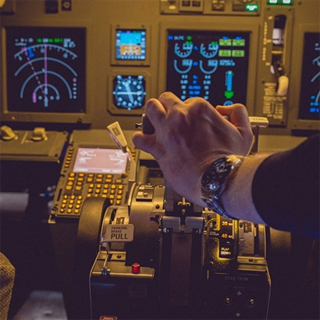 National Flight Centre is open 7 days a week in Weston Airport, Leixlip, Co. Kildare. Advance booking on AllGifts.ie is required. The National Flight Centre, based at Weston Airport near Dublin, is Ireland's longest established and largest Flight Training Organization. With state-of-the-art facilities, a large fleet of aircraft, and highly experienced flight instructors, NFC is the place to learn to fly!